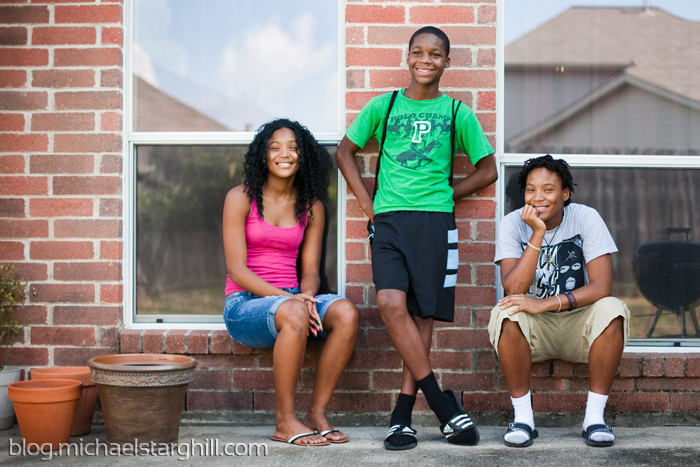 Houston Portrait, Documentary and Sports Photographer | Michael Starghill Photography: Nieces, a Nephew and Dad cutting grass. 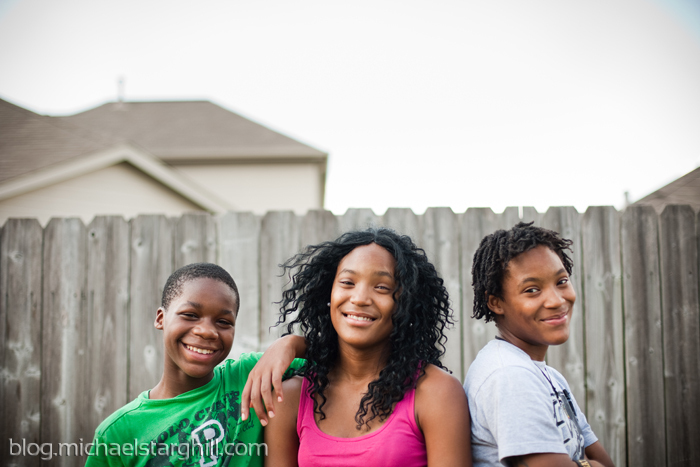 I got a chance to spend a few days in Houston last month visiting old family, new family and being nostalgic about the southwest side of the city. Whenever I go back, it's a must that I take some photos of the growing kids whose diaper days don't seem that long ago. Just so you can keep count, we've now got two high school seniors, an 8th grader and a TWENTY year old (unbelievable) who's not pictured. 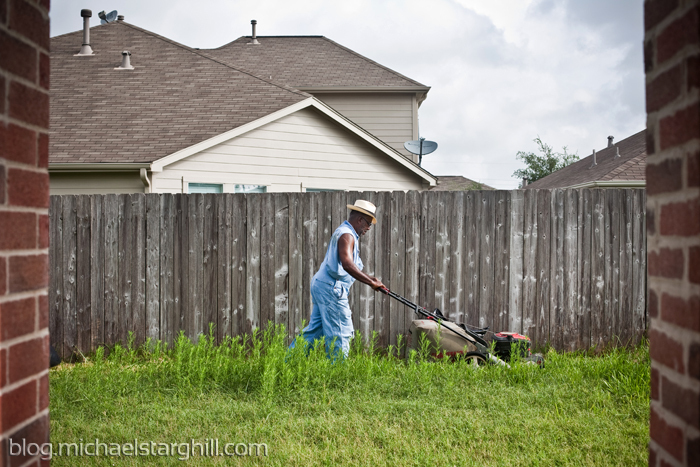 Oh and that last shot is my dad tending to a neglected back yard. Felt good to be home.